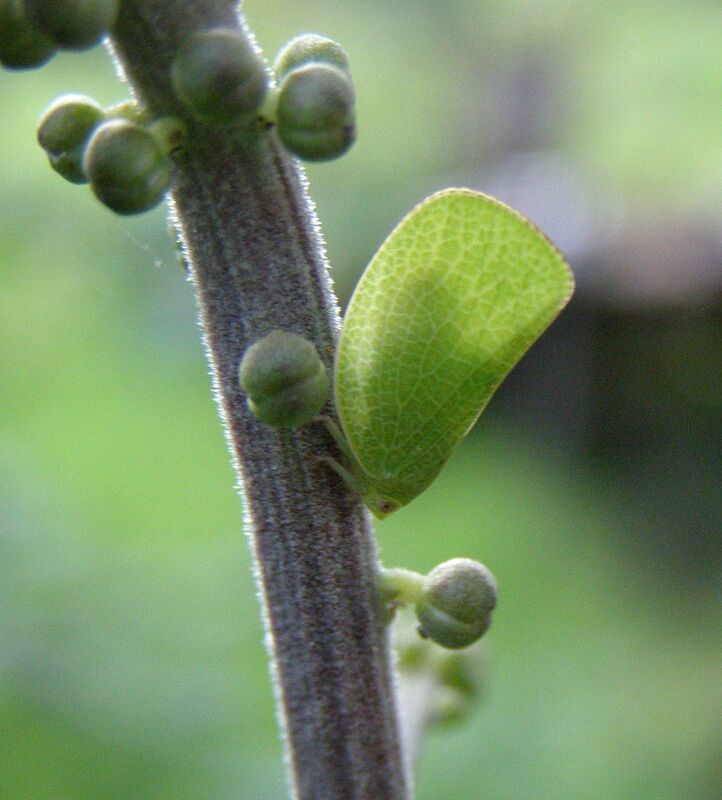 Though this plant is called Bugbane clearly some insects like it. Cimicifuga racemosa is not a plant I know a whole lot about. I know it's native, it has leafy purplish foliage parsley-like in shape. I planted it last year in a shady spot but the darn sun likes to move as autum comes and the poor plant fried. This year though it seems to be tolerating the added light a little better and I might actually get to see one of those flowers bloom. If this plant gets lots of bees as I hope it does then it will fill a hole greatly needed in the backyard beekeeper. A full shade plant that bees love, even if they're are for nonnative honey bees, would fill a gap in many a yard. Though honey bees have been found to cause the decline in native bee populations I feel the added foliage and nectar sources where there was none before will only benefit the whole. I will report back when it starts flowering.